England and Wales Cricket Board extended their partnership with Kia Motors (UK) Ltd, who will become the Official Car Partner of the ECB under a two-year agreement. Kia has a long-standing affinity with cricket as the inaugural title sponsor of the Kia Super League over a four-year period (2016-2019) and are the first ever Official Partner of the England women’s team. 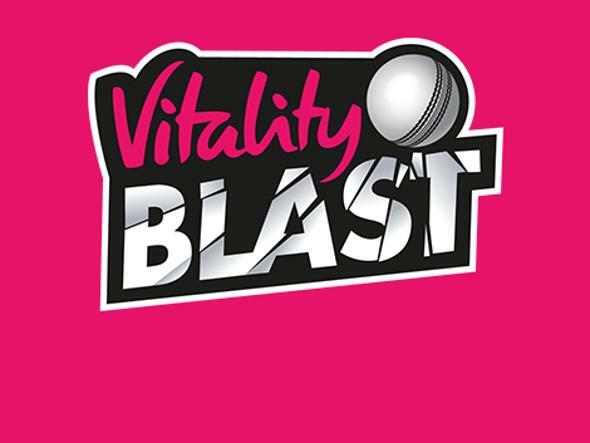 Their first commercial interaction with the sport came in 2010 when they signed a long-term deal as the club and ground sponsor of Surrey County Cricket Club and the Kia Oval. ECB Commercial Director Rob Calder said: "Kia are part of cricket in this country through their existing partnerships, in county cricket and the women’s game both internationally and domestically. "With an exciting summer of international cricket ahead, we are thrilled to extend our relationship with Kia to cover all international men’s and women’s matches. Their passion for the sport and progressive outlook fits perfectly with our own plans to innovate and grow the game." David Hilbert, Marketing Director at Kia Motors (UK) Ltd, said: "Becoming the Official Car Partner of the ECB extends our relationship further and allows Kia to engage with fans around the country. "With Test series against India and Pakistan this year followed by the Ashes in 2019, the extended relationship will allow us to showcase our fantastic range of vehicles to a perfect audience." Under the terms of the agreement, Kia will receive a range of sponsorship and marketing rights, including perimeter advertising, posters and in-ground activation at all international men’s and women’s matches. Please click Forgotten / Change password and follow instructions. If you are unable to use your verification code, you can get a new code. 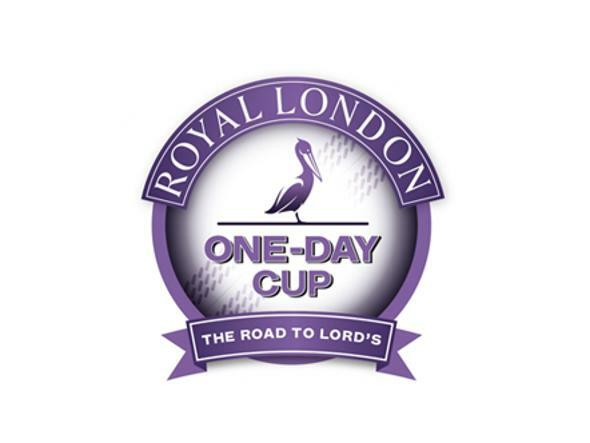 We Are England Cricket Supporters: Sign up for FREE! 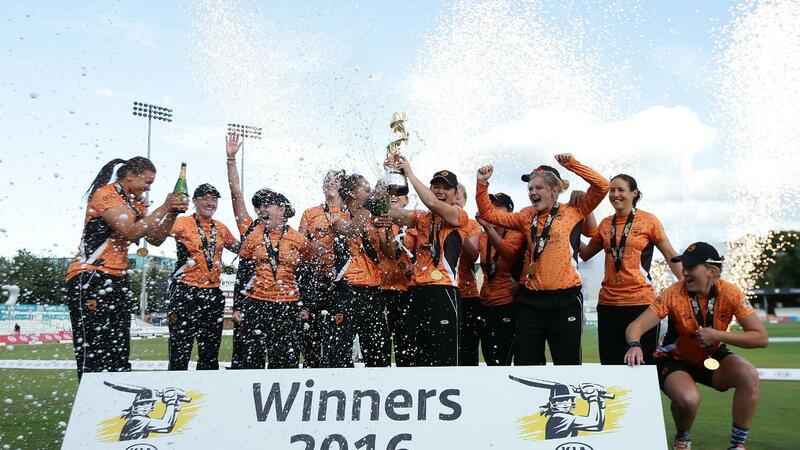 Do you follow a County Cricket Club or Kia Super League team? We’ll use this information to provide you with relevant news and information about these clubs and teams. If you sign up to We Are England Cricket Supporters, we will email you from time to time to remind you of the benefits you get as a member and how to unlock them if you haven’t already. To hear from your local cricket organisations themselves (click to view a full list) about tickets, events and news, please opt-in. To hear from the ICC - including opportunities from ICC Partners (click to view a full list), please opt-in. You can change your channel preferences or who you hear from at any time by changing preferences on your account page. View the Supporters privacy notice. By signing up to Supporters you agree to the terms and conditions. Use the verification code sent via email to activate your account. PLEASE NOTE: If you are trying to re-set your password, please return to the automated email and follow the instructions provided. Here you can update your details to ensure you don’t miss a thing. On the preferences page we recommend you read the details about the different marketing consents carefully to make sure you’ve consented to receive the you information you want. Please note - we will never share your data with ECB Partners. We will include their offers as part of your emails to you. This website is operated by England and Wales Cricket Board Limited (the ECB) as part of its network of sites and subsites (together, the ECB Websites). Unless stated otherwise, the ECB is the data controller in respect of all personal data collected on the ECB Websites which means that we are responsible for ensuring that we do so in full compliance with data protection and all other related privacy laws. Please note, ECB Websites may contain links to other websites (such as those of advertisers or our partners) that are not controlled by us, or our service providers. These links are provided for your convenience. We are only responsible for our own privacy practices and our security of ECB Websites. We recommend that you check the privacy and security policies and procedures of each and every other website that you visit. If you are under 13, you will either need to ask your parent or guardian to register you for any ECB services or will need the permission of your parent or guardian before the bookings and purchases can be made. We may require your parent or guardian to confirm that they have given permission. We may ask for their contact details so that we can check that they have done so and may carry out checks to confirm that the details you have given us are correct. If you are under 13, we will normally only send newsletters and offers and opportunities to you if your parent or guardian has given consent to them being sent. Your parents / guardians 13 can change their mind at any time (see ‘Newsletters, Offers and Opportunities’ below). supporting information other information that is relevant to the goods or services you request such as photo ID information for accreditations, clothing size for purchases of kit or other clothing items, dietary requirements where you are attending an event where refreshments are provided, allergy information or treatment that may need to be given to help those attending events. Details of the particular support information needed will normally be shown on the particular ECB Website for the goods or service you require. In most cases we will obtain information directly from you (or from someone who requests goods or services for you on your behalf) or the device you use to communicate with us. The information will be obtained through ECB Websites, telephone conversations, emails and written and verbal communications (including blogs and social media interactions) and from records of the goods and services provided to you. Some of this information may be obtained from the service providers we use such as ticket operators. We may supplement the information that you provide with other information that we obtain from our dealings with you (such as tickets you have purchased, newsletters you have subscribed to, events you or someone you book for have attended, achievements in cricket and details from other ECB services you have signed up for, use or have used such as Play-Cricket and We Are England Supporters) or which we receive from other organisations, such as other cricket organisations, sponsors or commercial partners. If you provide information to us about any person other than yourself, you must ensure that they understand how their information will be used and that you are authorised to disclose it to us, and to consent to its use on their behalf, before doing so. In order to understand how users use ECB Websites and our services and the things they are interested in, we may collect your Internet Protocol addresses (also known as IP addresses). Your IP address is a unique address that computer devices (such as PCs, tablets and smartphones) use to identify themselves and in order to communicate with other devices in the network. In common with many other website operators, we may use standard technology called 'cookies' on ECB Websites. Cookies are small pieces of information that are stored by your browser on your computer's hard drive and they are used to record how you navigate ECB Websites on each visit. For further information on cookies and Flash cookies and how to switch them off see the Information Commissioner’s website at www.ico.gov.uk or visit www.allaboutcookies.org or www.aboutcookies.org. Occasionally, we may use digital tracking (usually in a cookie) on ECB Websites or in emails we send to you. We use these to ensure you receive appropriate information and do not receive multiple communications about the same thing (such as ticketing offers) from different cricket related organisations. If you stop cookies, this will normally stop any tracking from the website. Where we plan to use tracking technology, we will ask for your consent. We may pass relevant personal information to match venues, First Class Cricket Counties, County Cricket Boards, Clubs and Leagues for cricket administration and research purposes where we believe this is appropriate to the service you require or to enable them to understand player, fan and customer activity and to develop cricket related services. In order to provide and administer events, we will provide relevant details to those running and specific sessions you attend. We will also use your information to ensure compliance with Ground Regulations (where appropriate) and to make any required security checks in order to ensure a safe environment for you and others to enjoy cricket. The payment card information you provide will only be available to the payment provider. This will not be available to the ECB. 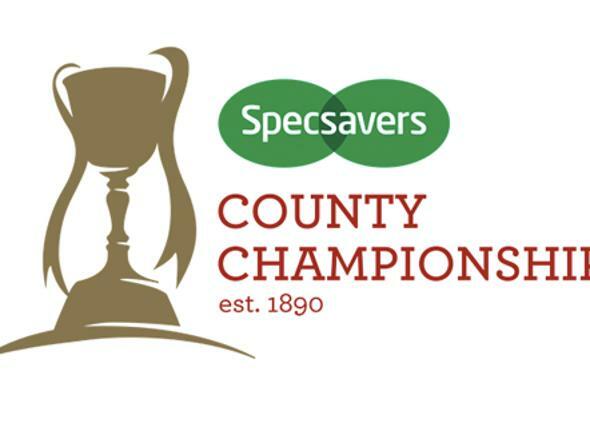 As the national governing body for cricket, the ECB has relationships with other cricket related organisations such as First Class Cricket Counties, County Cricket Boards, cricket clubs and cricket leagues (each a Cricket Organisation) and some of the goods and services available on or through ECB Websites are provided by those Cricket Organisations. Each Cricket Organisation has its own privacy practices and you should check that you are satisfied with them before you provide any personal information to them. You can view an up-to-date list of CRICKET ORGANISATIONS by clicking the link. The ECB, CRICKET ORGANISATIONS and ECB SPONSORS & PARTNERS would like to contact you and/or any person whose information you provide to us to invite you to enjoy other products and services (where you have agreed to us sending an invitation), to provide newsletters and to tell you and/or them about offers and opportunities that are available and about a range of other initiatives in a number of ways, including by post, text message, email or, for relevant services, push notification, personalised on-screen messages and social media. Details of how to opt-in to or opt-out of receiving newsletters and details of offers are on relevant pages of the ECB Websites, in relevant forms you complete and/or in the electronic message you receive. You and any other person whose information you have provided to us can change your/their mind about whether you wish to receive details of offers and opportunities at any time by using any of the methods shown below (see the section ‘How to contact us’ below) or by following the instructions with each offer you/they receive. We take the security of personal information seriously. We employ security technology, including firewalls, and Secure Socket Layers to safeguard information and have procedures in place to ensure that our paper and computer systems and databases are protected against unauthorised disclosure, use, loss and damage. We may monitor or record telephone calls for security purposes and to improve the quality of the services we provide to you. We will normally keep your personal data for two years unless we say otherwise in the privacy notice you are given. If, after this point, you have not taken up any further services, we will keep only minimal personal data about goods or services you have had from us, an outline of any incidents and details of any preferences or consents. If you provide any information to us in relation to tickets or other services for the Cricket World Cup 2019, we may provide details to the International Cricket Council (ICC), which is based in Dubai. We will, of course, ensure that your information is transferred securely and in accordance with applicable privacy laws. Privacy laws and practice are constantly developing and we aim to meet high standards. Our policies and procedures are, therefore, under continual review. We may, from time to time, update our security and privacy policies. If we want to make any significant changes in how we will use your personal data we will contact you directly and, if required, seek your consent. We will ensure ECB Websites have our most up to date policy and suggest that you visit our privacy pages periodically to review our latest version. You may update or correct your personal information online in relevant membership areas or by contacting us in writing or by email (see the section ‘How to contact us’ below). Please include your name, address and/or email address when you contact us as this helps us to ensure that we accept amendments only from the correct person. We encourage you to promptly update your personal information if it changes. If you are providing updates or corrections about another person, we may require you to provide us with proof that you are authorised to provide that information to us. The right to receive a copy of the personal data that we hold about you. The same right applies to any other person whose personal data you provide to us. We will require proof of identity and proof of authority if the request comes from someone other than the person whose data we are asked to provide. This will ensure we only provide information to the correct person. We normally expect to respond to requests within 28 days of receiving them. withdraw consent to direct marketing. You can exercise this right at any time and can update your preferences yourself or ask us to do it for you. See section ‘Updating and correcting your personal data’ above for details. withdraw consent to other processing. Where the only legal basis for our processing your personal data is that we have your consent to do so, you may withdraw your consent to that processing at any time and we will have to stop processing your personal data. Please note, this will only affect a new activity and does not mean that processing carried out before you withdrew your consent is unlawful. If you consider any of your personal data is inaccurate, you can correct it yourself or ask us to do it for you (see section ‘Updating and correcting your personal data’ above for details). Where you have provided personal data to us electronically, you may be entitled to require us to provide that data to you electronically or to transmit it to another organisation. PLEASE NOTE: Do not close this browser tab, please enter the verification code from the automated e-mail.